New Britain resident Khari Calhoun was charged with larceny and conspiracy to commit larceny in Westport on April 3. WESTPORT — The first suspect involved in stealing over $3,000 of merchandise from Ulta Beauty has been arrested. On March 6, officers were dispatched to Ulta Beauty on report of a shoplifting incident. Store employees said two women and one man entered the store, filled three shopping bags with perfumes and fragrances, and then ran out of the store without paying for the $3,750 worth of merchandise, according to police. Employees provided a name and partial car registration plate for one suspect, Khari Calhoun, who investigators confirmed was one of the suspects pictured in the store surveillance video, police said. 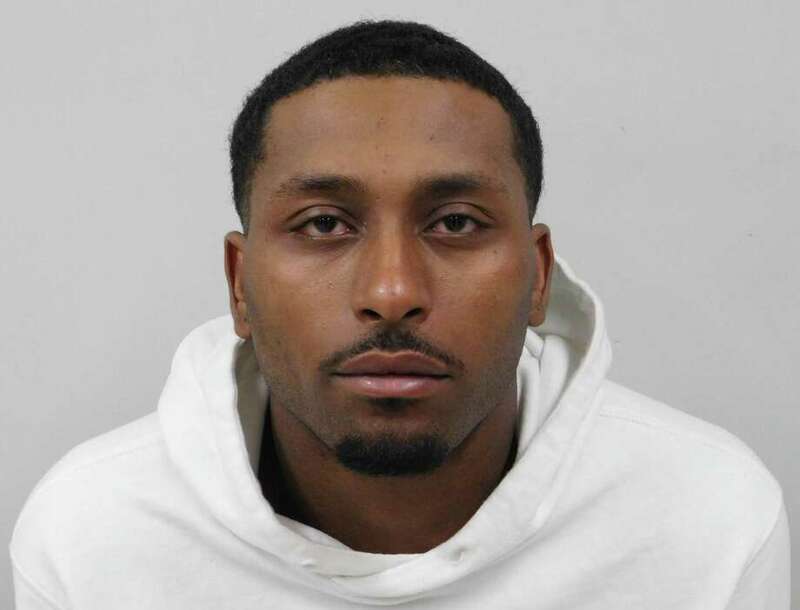 Police submitted a warrant for Calhoun’s arrest and on April 3, officers responded to the New Britain Police Department, where Calhoun, 26, was held on the outstanding warrant. Calhoun was transported to Westport police headquarters, where he was charged with third-degree larceny and conspiracy to commit larceny. Calhou was held in lieu of $75,000 bond and transported to state Superior Court in Norwalk for arraignment later that morning.